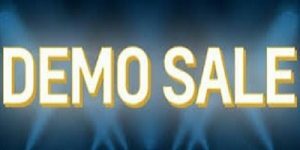 Our demonstrator sale is now on! We’ve made some huge reductions on our 2019 demonstrator models from leading manufacturers Swift, Bailey & Lunar. Prices start from £15,095 with savings of up to £4,729! These offers will only last until the end of business on Monday 6th May so please hurry and take advantage of these incredible deals! View 2019 Swift Caravans – As well as these offers on Swift, order a Vogue by Monday 6th May and receive a FREE Diamond Pack worth £510 on a single axle & £610 on a twin axle. 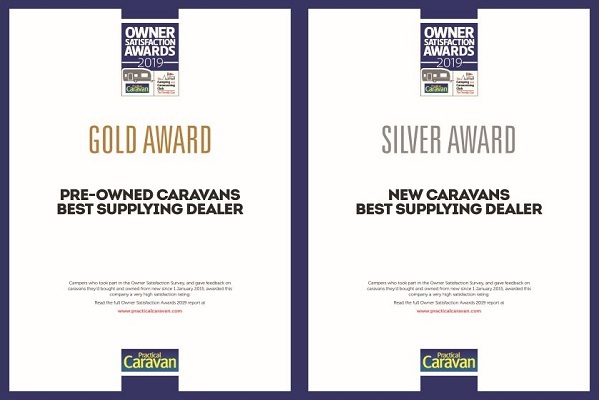 View 2019 Lunar Caravans – As well as these discounts, you can also claim £500 cashback from Lunar when you purchase a 2019 Lunar. Offer ends soon. Welcome to our season opening show which starts on Friday 15th March. We have some superb offers and savings so why not take advantage and get your new caravan in time for Easter. We will have some coffee, hot chocolate and cakes available at each branch so if nothing else please pop in for a drink, a bite to eat and a chat! 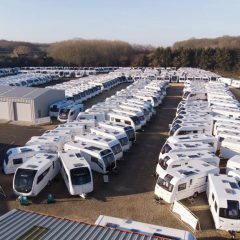 Update – massive price reductions across our range of 2019 caravans. Hurry, these prices can’t last, savings of up to £3,529! 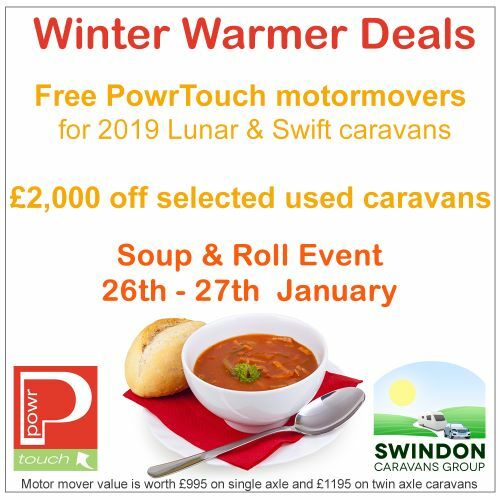 Order a 2019 Lunar caravan and receive a FREE Powrtouch motor mover! 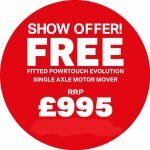 Update – FREE Powrtouch motor mover offer now includes any 2019 Swift purchased before the end of this weekend! End of season stock clearance. Save up to £4,978 on the last remaining new 2018 caravans from Bailey, Swift & Lunar. Order now to collect your new caravan in time for Easter. 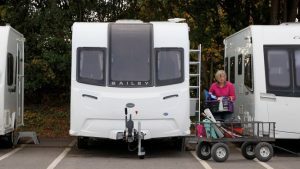 View the 2019 Bailey Ridgeway and 2019 Swift Vogue, our new dealer specials from Bailey & Swift respectively and exclusive to the Swindon Caravans Group. Enjoy savings of up to £2,750 across the two ranges. Receive a free Bailey Nemesis wheel lock on any Bailey Ridgeway purchased. Great part exchange prices paid for your existing caravan. Affordable finance from 8.6% APR. Massive savings on selected used caravans. We have some great stock arriving after a successful February NEC. Affordable finance from 9.6% APR. We offer a range of caravan finance options which give you the flexibility to spread the cost of your next luxurious home-from-home. Receive a free carpet (worth up to £114.99) when you purchase a new Kampa awning. Our in-store Kampa prices are cheaper than online. Come in or give us a call for more details. Elsan 2L blue & 2L pink toilet chemicals. Was £15.98, now only £10. Pro-Tec front caravan covers. Only £170. Fenwicks caravan cleaner. Was £9.95, now only £5. 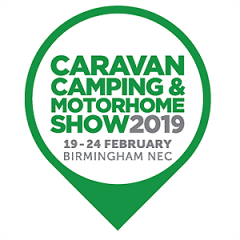 Some of the offers for the NEC Caravan, Camping and Motorhome Show (19th – 24th Feb) have already been announced. Whilst Bailey have remained tight lipped thus far, Swift and Lunar have wasted no time in revealing their hand! If you purchase a new 2019 Lunar caravan before 6pm on Sunday 24th February then you will receive a FREE Powrtouch Evolution manual engage motor mover worth £995 (single axle) or £1195 (twin axle). 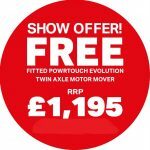 Similar to the Lunar offer, Swift are also offering a FREE Powrtouch Evolution manual engage motor mover worth £995 (single axle) or £1195 (twin axle) if you purchase a 2019 Vogue, Sprite, Eccles, Challenger and Elegance before 6pm on Sunday 24th February. A 2019 Basecamp will attract a free Plus Pack worth £715 if ordered before this date. These are strong offerings so early in the season so be sure to take advantage and order now for best availability so secure your new caravan in time for spring. 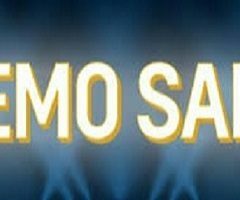 Call our sales teams now for more information on all the ranges and offers: Swindon 01793772096, Oxford 01844339566, Reading 01189888111. 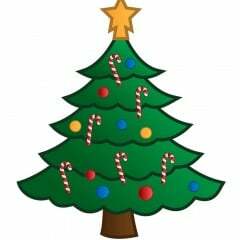 Everyone here at Swindon, Oxford & Reading Caravans would like to wish all our customers a Merry Christmas and Happy New Year. Workshop & Aftersales departments will be closed from Friday 21st December and will reopen on Wednesday 2nd January. In this section we will lift the lid on what takes place behind the scenes at Swindon Caravans and share some key steps along the way with either one of our pre-loved caravans or a brand-new model. This is the point where you have selected the ideal caravan for your needs. 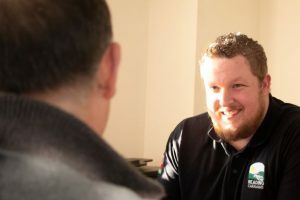 Up to this point you may have chatted with the sales team, discussed your requirements and chosen your perfect caravan. The sales team will also advise on what accessories the vehicle comes with or would benefit from. A comprehensive pack, including the sales invoice and some handy literature will be handed over to you. 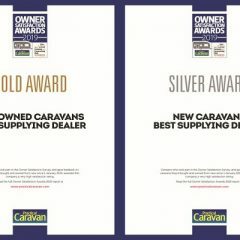 Details of any special deals on starter packs, extended warranty options and 3 year service plans will be discussed with you and if the vehicle is already on-site, such as a pre-loved caravan or an end of season new caravan, you can expect to have a collection date arranged there and then. If you require caravan finance, this can be agreed in principle too and our sales team will demonstrate how the finance package works and discuss repayment options including HP or a PCP agreement. If the caravan is on the forecourt the caravan will be secured and a “sold” sign placed in the window. If this caravan is a part exchange and equipment needs transferring over, details will be printed on the sold sign. The caravan will then be moved and parked within the secure compound on site ready for the next phase of work. However, if you have purchased a brand-new caravan the vehicle will be ordered from the manufacturer and depending on the time of year will depend on how soon the caravan will be on site. The sales team will contact you and discuss / arrange a collection date once they know the arrival date of the caravan. Once the new caravan has been delivered it too will be taken to our secure compound with details in its window and will be ready for the next step in the process. The next big step in the process for all our caravans is the PDI check. The “Pre-Delivery Inspection” is a thorough inspection of the caravan, the systems and features. The inspection also incorporates a service on the caravan, to ensue all moving parts are correctly greased, all safety items have been checked and the systems such as heating, hot water and battery charging all work correctly. 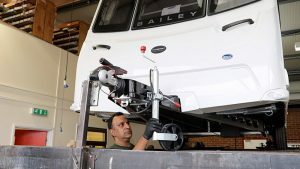 Though this will not affect new caravans, any items that need work, replacing or adjusting will be corrected at this stage. Once the caravan has been given the all clear and has passed our exhaustive PDI process, the caravan can now have its accessories and extras that you have asked for fitted. Items such as motor movers, tyron bands and any specialised equipment will be installed by one of our trained technicians on site. Once installed a final inspection of all the fittings will be performed to confirm they meet our standards. Just before collection the caravan will be handed over to our dispatch team who will clean the caravan inside and out. If selected, the caravan will also be given protective coatings such as DiamondBrite to the fabric and the exterior of the caravan. Once complete the paperwork of all the works carried out will be processed and be prepared for the collection day. Collection day is a big occasion and there are several things that need to be taken care of, not least the payment of the caravan. In the next section we will go through the collection day, detail what you should bring with you, and share what to expect when you arrive. 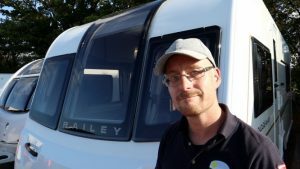 New to Caravanning? Part 4 – Why Part Exchange? Changing for a new caravan, either bigger, smaller or newer is an exciting time. One question that is often asked is ‘Why should I part exchange my current caravan?” In this page we will outline some useful reasons why part exchanging a caravan may be beneficial as part of the purchasing process. There is no doubt that if you sell your caravan privately you can obtain a higher asking price. Part exchanging a caravan is not about the money, but if a private sale is on the cards, be aware that advertising a caravan for sale can cost money, take up valuable time and at the end of this process there is no guarantee that the caravan will sell. It is also rare that you will get the price you are asking for when selling privately. It’s almost certain that a buyer will want to haggle the price down, find fault and demand some sort of discount from what you are asking. And, as mentioned above, it takes time. Keeping it clean, having all paperwork ready, preparing to answer and demonstrate all the parts of the caravan to a new owner and making time for potential buyers to visit your home. Which leads us onto another consideration. 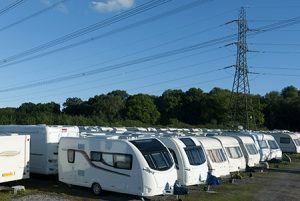 For owners that keep caravans in storage yards, selling caravans on site is often prohibited. Allowing members of the public in and around a storage compound can be a risk to the storage yard security arrangements. So, owners who want to sell the caravan will need to move the caravan to another location to sell. For many, bringing a caravan back home isn’t an option so selling in a mutual public location would seem the logical answer. However, think carefully if you are selling a caravan in a layby or car park. And if you are buying from such a location, ask the seller why. One key benefit of part exchanging a caravan is having some equipment transferred by the dealership to your new purchase. 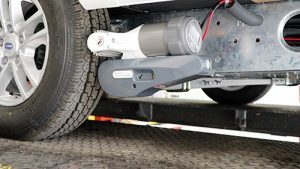 Items that include motor movers, leisure batteries, gas bottles, trackers, in fact any feature you have added to the caravan can be moved by a professional team to the new caravan. This will form part of the deal when buying a new caravan, so do check in with the sales team to ensure that any specifics you have can be moved across. New caravan vs old caravan! The real benefit of part exchanging a caravan is the collection day of the new caravan. You can arrive at one of our locations with your current caravan, be shown around the new purchase, and be left to transfer your personal belongings to your new caravan. When you are finished you can leave with your new caravan hitched up, loaded with your possessions and ready for a new adventure. This means your home will not be filled with all your personal belongings, such as bedding, water & waste containers, BBQ parts and the essential boules set. A part exchange is a hassle-free method of dealing with your existing caravan. Taking the stress away from selling a caravan privately, allowing the exchange of installed equipment and being able to take time to move possessions across from one caravan to another all contribute to a comprehensive list of benefits and positive reasons to part exchange your current caravan. For more information about part exchange and a quotation on the trade in value of your current caravan, contact us, or pop in and speak with our sales team, who can run through more details with you. In the next section we will discuss what happens next once you have chosen your prefect caravan and have placed your deposit. 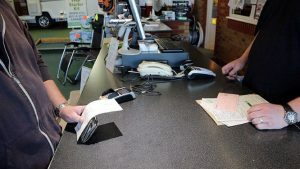 In recent years the popularity of PCP or Personal Contract Purchase has sky rocketed for those who are buying new cars. But interestingly, PCP has only recently been introduced to the leisure industry. In this section, we will guide you through the differences between Hire Purchase (HP) and PCP, their benefits and any pitfalls worth considering with either method as a funding option. 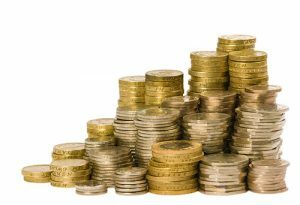 This is not financial advice but information about various the funding schemes, at the bottom of this page are links to documents that will help you further. 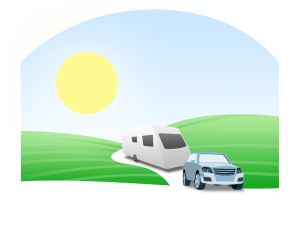 PCP was introduced to the caravan industry in September 2016, it had previously been available for those purchasing a motorhome, but for caravans this was a new concept. What exactly is PCP? how does it work and are there any pitfalls? PCP is like Hire Purchase (HP) with one significant difference. A significant bulk of the credit is deferred to the end of the agreement. This keeps the monthly payments low. 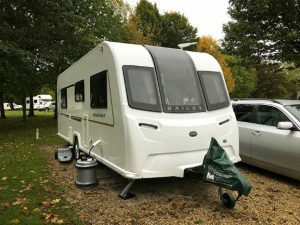 Like HP you don’t own the caravan until the final payment is made and, because there is a large balloon payment at the end of the term you are unlikely to opt for this option. More on this later. In fact, to be clear, you are renting the caravan from the finance company in a “use not own” concept. You can return the caravan and simply walk away, and make no further payments. You can make a final “balloon” payment to pay off the outstanding finance and gain ownership of the caravan. You return the caravan and part exchange it for a brand-new caravan and continue with a new PCP plan, using equity in the caravan as a deposit. PCP monthly payments are calculated by the size of the deposit and length of the contract. The final balloon payment is calculated by the deposit, monthly payments and the predicted of the value of the caravan at the end of the agreement. PCP is a great way to “use and not own” a brand-new caravan. 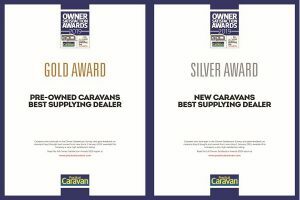 It is a great way to have a new caravan every few years and PCP is flexible because of what happens at the end of the contract. It is ideally suited to those who are not sure what to do at the end of the finance. Sounds almost too good to be true, right? There are a few things to be aware of however. 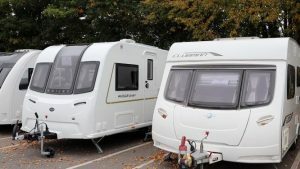 PCP is currently only available for brand-new caravans; Also, Caravans must be fully insured and must be annually serviced by NCC approved workshops to ensure the condition and running order of the caravan is in good order. 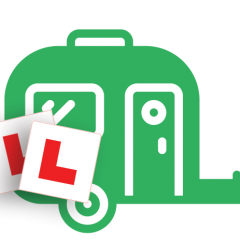 If you are likely to want to keep the caravan, PCP will require you to make a large payment at the end of the term. You will need to pay this. If you do decide to return the caravan at the end of the agreement, the caravan must be returned in a “Good Condition” a full explanation of what is regarded as good condition can be found here. Hire Purchase is very straight forward. You pay a relatively low deposit on your chosen caravan at the start of the agreed timescale. The timescale is agreed up front and this along with the deposit amount will affect the amount of the monthly repayments. You can agree repayment terms of 1 to 10 years. Like PCP you will not own the caravan until the finance is repaid in full. The benefit of HP over PCP is you will own the caravan at the end of the contract and have no balloon payment to make. 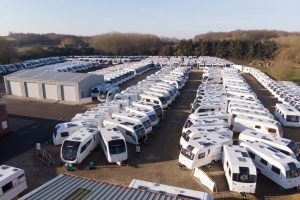 Another key benefit of HP over PCP is that Hire Purchase is available for second hand caravans, whereas PCP is only available for brand new models. For details and examples of Hire Purchase, how much it will cost you, please visit contact us or pop into one of our branches where we will be more than happy to show you how the various finance options work. 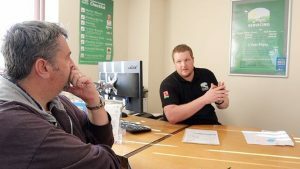 As we mentioned this isn’t financial advice, but if you are interested in obtaining finance you can find out more information on PCP or HP, how it works and for some quotations from any of our branches, where our sales team can run through some actual figures on specific models on our forecourt. Also, you can head on over to the Black Horse Finance website, where more examples and other funding options are compared. In the next section we will discuss why part exchanging your existing caravan may be a great stress-free solution for you. 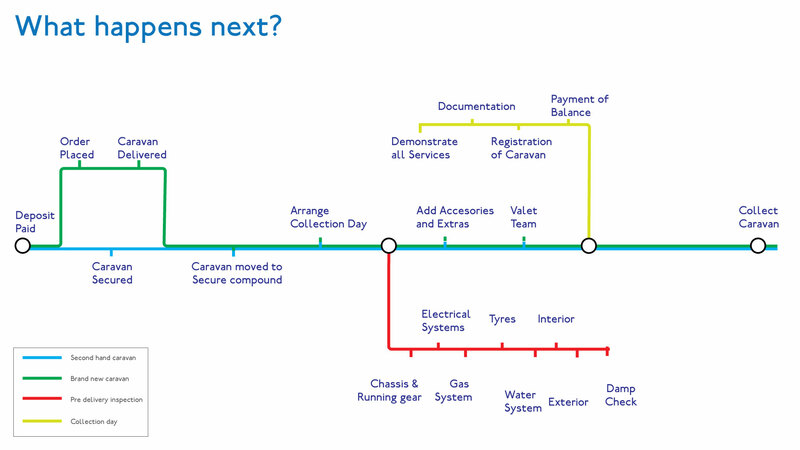 If you don’t have an existing caravan maybe you would like to know more about what happens next once a deposit is paid. 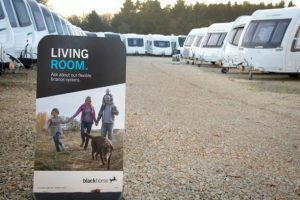 Swindon, Oxford and Reading Caravans Ltd are licensed credit brokers offering finance from Black Horse and other providers and may receive commission for this service.